and the customer which comprised of a considerable amount of time and costs. The automation of procurement and supply chain processes using internet based applications and technology has allowed procurement professionals across the world to communicate information clearly, streamlining the global procurement process, reducing time and cost without compromising on standards and quality. In fact, the emergence of eProcurement implementation has come a long way and it has not been an easy one as it has its challenges and procurement departments have taken time to fully accept it. Overlooking the challenges such as user adoption, budget and policy support, it has ultimately been proven that eProcurement also have major benefits which are directly linked to the bottom line success of organizations. Participants in Aberdeen benchmark research in 2004 showed that eProcurement produces cost reductions, higher productivity, and increased spend under management. Benchmark survey respondents reported improved compliance; reductions in off-contract spending, reductions in requisition-to-order cycles and costs, and percentage of total enterprise spend under management of procurement. An effective way to enjoy all these advantages, leading to higher profitability and productivity is through application-based corporate training. The link between training employees and implementing a performing eProcurement strategy is an obvious one. Proper training will ensure that workers are well-informed about the concept of eProcurement and this will allow them to work successfully and be aligned with the company’s overall objectives through a sustainable eProcurement strategy. For example, high impact scenario-based eLearning courses, gamifications and simulations represent efficient ways to train employees as this allows them to experience real work situations and corresponding solutions. In this way, employees are more engaged and they can easily apply their skills and knowledge directly to their jobs. For instance, they will be more comfortable to deal with e-sourcing or e-catalogues which are part of eProcurement processes. 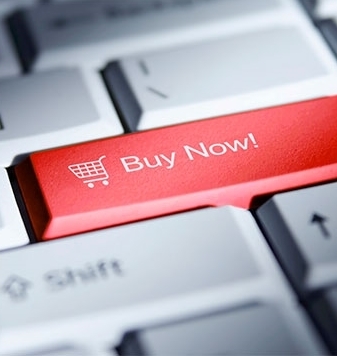 With virtual eProcurement portals, buyers have a greater access to suppliers around the globe. This gives them the advantage of being exposed to a wider selection of goods and services. Therefore, when items are not available locally, buyers still have the capacity to source them through online portals from other countries. If employees are provided with proper training, they can deal with automated matching of invoices; goods can be ordered, processed and paid within minutes. Through such practices, staffs can work in a more strategic way to meet the objectives, thereby increasing productivity rate. With reduced transaction time, increased supplier selection, development of trading communities, more opportunities for purchasing surplus goods and services at below market price, eProcurement proves to be more cost-efficient than traditional procurement. Costs are reduced by leveraging volumes, having structured supplier relationships and by using system improvements to reduce external spend by improving quality and supplier performance. This results into less paperwork and errors. E-procurement applications have changed the face of traditional procurement. These applications have increased global accessibility; supporting various languages, currencies international taxation and financing, shipping regulations and more. This allows buyers and suppliers worldwide to communicate and co-operate effectively. Transactions can be accomplished at a faster pace as there is minimal human intervention since the process is automated. In this way, transactions can be completed on a real-time basis. E-catalogues have proven to be an effective marketing tool which allows organizations to market their product electronically. This is a major advantage for buyers and sellers as there is price transparency and buyers can easily compare offers from different vendors by comparing their e-catalogues. Electronic catalogues have enabled suppliers to offer a standardized offer, allowing buyers to easily compare the offers from e-catalogues. However the comparisons should be done with care because of the absence of samples. The good thing is that most catalogue sites operate in a very similar way, and they are very easy to set up allowing multiple business users to undertake their respective procurement. This keeps the business running, sourcing the day-to-day needs of the business and allows procurement people to continue to develop great value-added relationships. Today, leading companies are enjoying the benefits of eProcurement and expanding their eProcurement systems. To ensure proper functioning of the e-procurement processes, it is essential to have a thorough knowledge about how to make the most of it. Corporate training represents a good way to train employees effectively so that they can adopt the best eProcurement practices which will eventually lead to more productivity and profitability for the company as a whole.